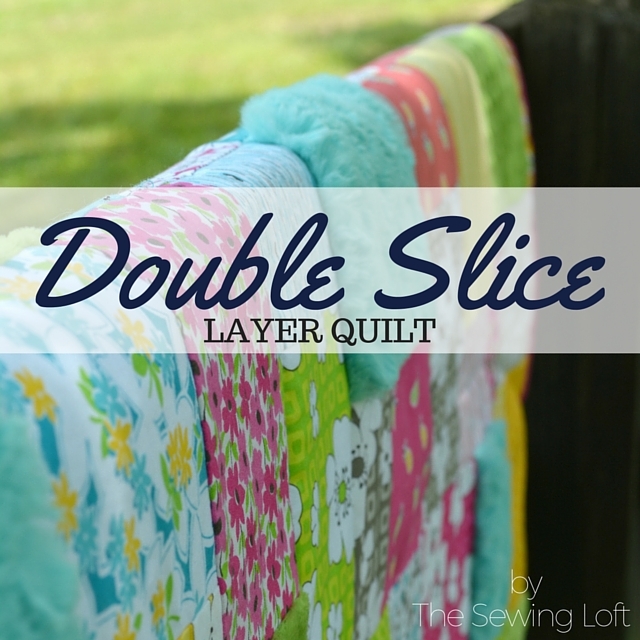 I’m pretty darn excited to share a few sneak peeks of my latest finish with you today; the Double Slice Layer Quilt. 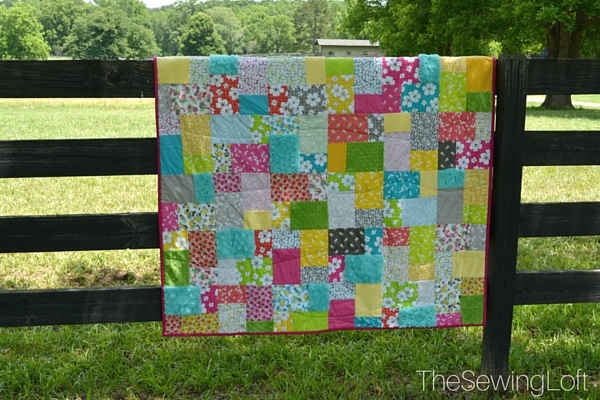 This quilt is part of the Tutorial Reboot Series with Missouri Star Quilt Company. Picking a project for this series was no easy task. For those of you not familiar with The Missouri Star Quilt Company, Jenny Doan is pretty much the Queen of Quilting on YouTube and has TONS of video tutorials. In each video she walks you through the process of making each block step by step and I just love how her personality shines through. It’s like sewing with a friend. Since we all know I’m a sucker for the scrappy look, picking the double slice layer block was a no-brainer for me. Once I saw how those prints fit together in a random pattern, it was a home run. To spice things up a notch, I added in a few different colors of Cuddle and I think that is by far and away my favorite part! With the help of chain piecing, stitching the quilt top was a breeze. 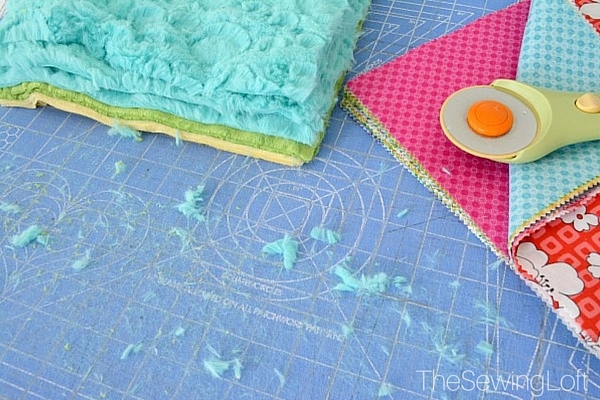 Just remember, when these tips working with Cuddle and to keep the lint roller handy. To keep the outlook of the quilt as thin and streamlined as possible, I choose Fairfield’s Soft & Toasty Natural Cotton as my batting. 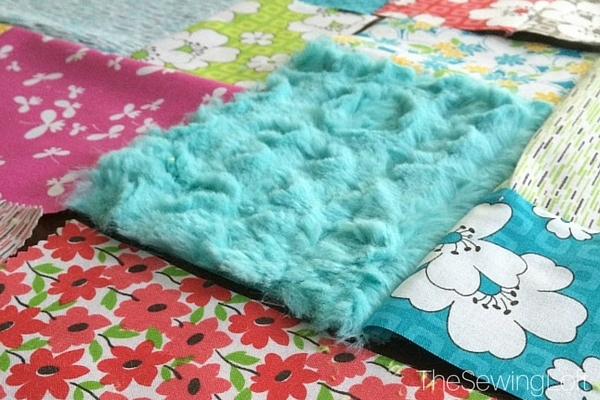 Then I pieced together a cuddle backing with my leftover over blocks. This is totally one of those projects that you can finish in a weekend. I even made sure to add a label. I just love how it was caught in the stitching and I never have to worry about it falling off. 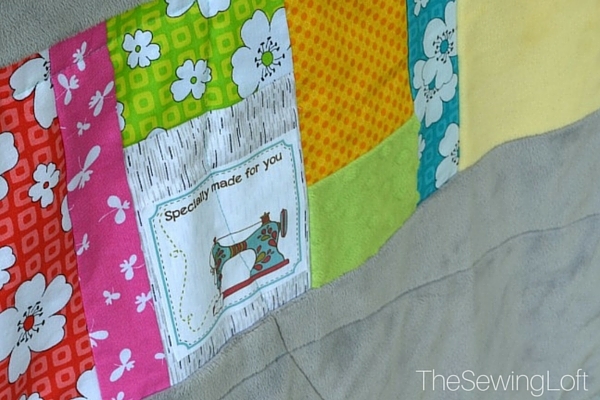 You can see more pictures of my quilt, learn about the fabric selections, and see the full video on the Missouri Star blog. Remember, until next time….. Stay scrappy my friends!